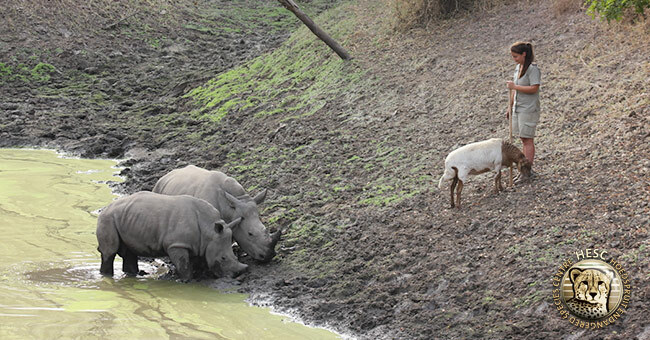 Gone are the days when Gertjie and Matimba could fit into the humble mud baths near their enclosure. These two have grown so much that they now require a MUCH bigger space to indulge in what they love best …. 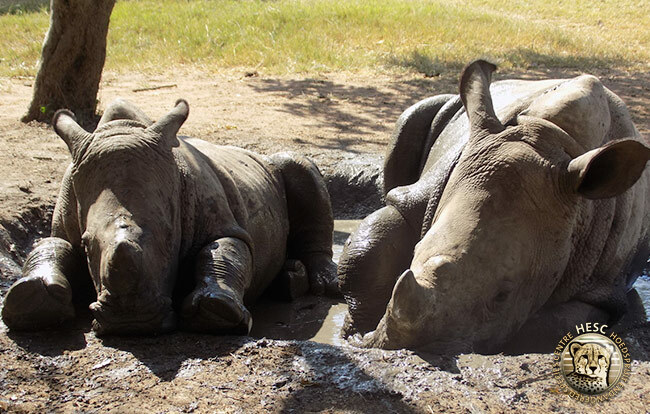 Wallowing! 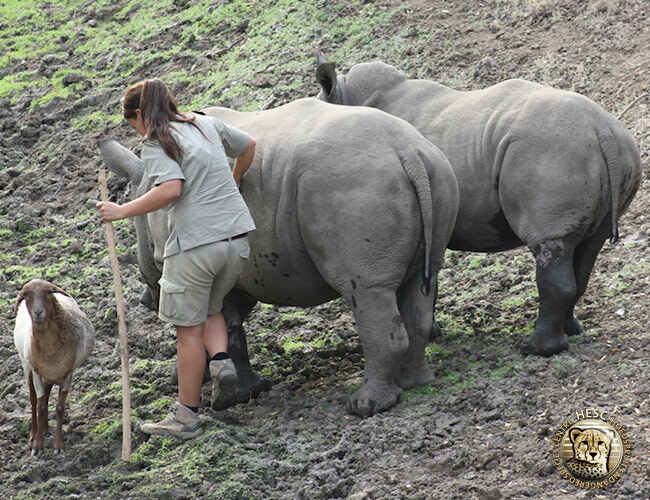 Assistant curator, Anri de Waal, took the trio – yes, Lammie came along too – down to the ‘puddle’ where Gertjie and Matimba could comfortably enjoy their bath. 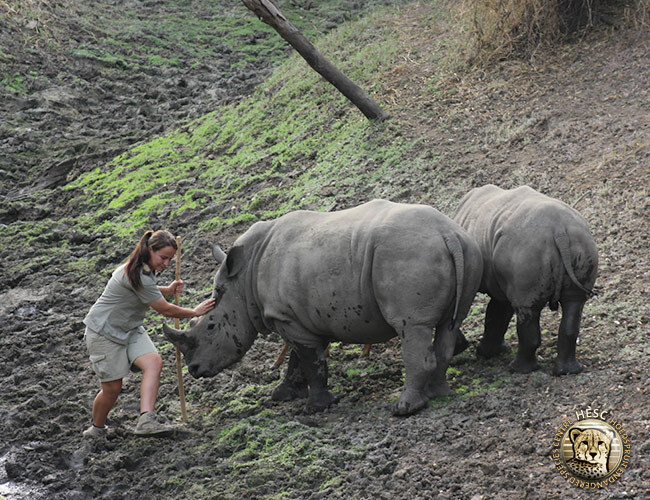 Anri lent a helping hand by rubbing the rhinos with mud before the two boys wandered further into the muddy water on their own. Anri and Lammie (as per usual) watched the boys from the banks. 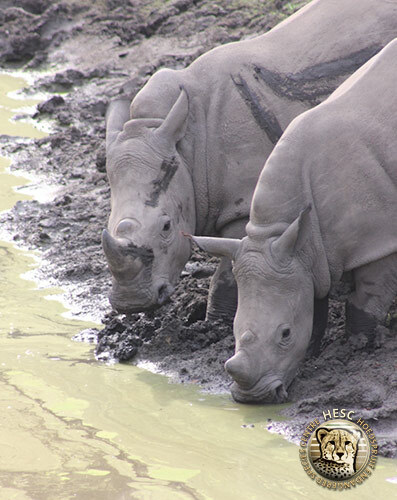 Gertjie and Matimba immersed themselves completely, and had a ‘rhino’ of a time in the murky waters. Once they had had enough, Anri and the trio made their journey back home.